A federal judge in Wyoming has put a stay on new rules governing hydraulic fracturing on public lands, just before they were about to come into effect Wednesday. Four states and two industry groups have sued to block the rules as too restrictive. US District Judge Scott Skavdahl placed a temporary hold on the rules’ implementation until July 22, giving the government a month to better articulate its case. Skavdahl stopped short of issuing an injunction sought by the Independent Petroleum Association of America (IPAA) and the Western Energy Alliance, who were joined by Colorado, Wyoming, North Dakota and Utah in seeking to block the rules from taking effect. “We're obviously very pleased. The judge is being very careful,” Kathleen Sgamma of the Western Energy Alliance told the Casper Star Tribune. “While the matter is being resolved, the BLM will follow the court's order and will continue to process applications for permit to drill and inspect well sites under its pre-existing regulations,” said Department of the Interior spokeswoman Jessica Kershaw, referring to the Bureau of Land Management, an agency governing the use of federally owned land. Hydraulic fracturing, commonly known as fracking, is a technology used to extract oil and gas from hard-to-reach rock and shale deposits. While the practice has accounted for a sharp rise in US oil and gas production in recent years, environmental advocates have accused it of causing water pollution, earthquakes and sinkholes, among other things. The BLM announced new federal rules for fracking on public land in March, imposing stricter standards for disposal and storage of fluids and chemicals used in the process, and setting standards for well construction to minimize the risk of contaminating the groundwater. The rules would have covered fracking operations on public land leased from the federal government as well as land owned by Native American tribes. IPAA and the Western Energy Alliance disagreed, filing a lawsuit at the US District Court in Wyoming as soon as the rules were announced. The four states soon filed their own complaint, arguing that the rules infringed on their sovereign authority to regulate fracking. While the states complained that the new rules were redundant, as the states already had their own regulations covering almost all of the wells in question, industry groups claimed that complying with federal requirements would impose financial hardships on drilling operators. The BLM has estimated the costs of compliance at just over $11,000 per well. According to government estimates, the cost of fracking wells usually varies between $4 million and $9 million. Fracking was exempted from federal water and air pollution laws in 2005, according to The Hill, so federal regulators have little power over the practice on private and state land. 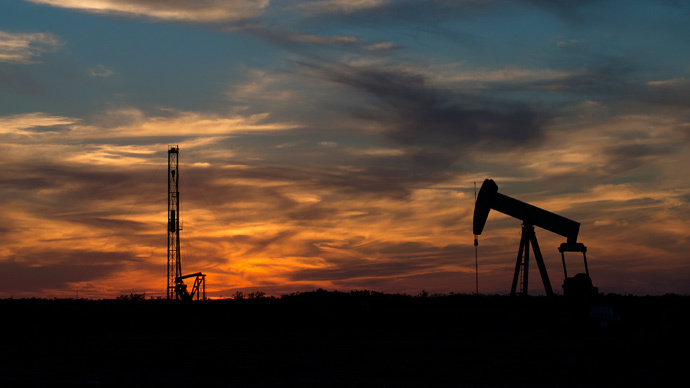 A recent Environmental Protection Agency report noted that there were an estimated 25,000-30,000 new wells drilled and hydraulically fractured every year in the US, between 2011 and 2014. Fracking took place in at least 25 states between 1990 and 2013.